Clicking on the Manage Subscription link will open the following popup on top of the screen. 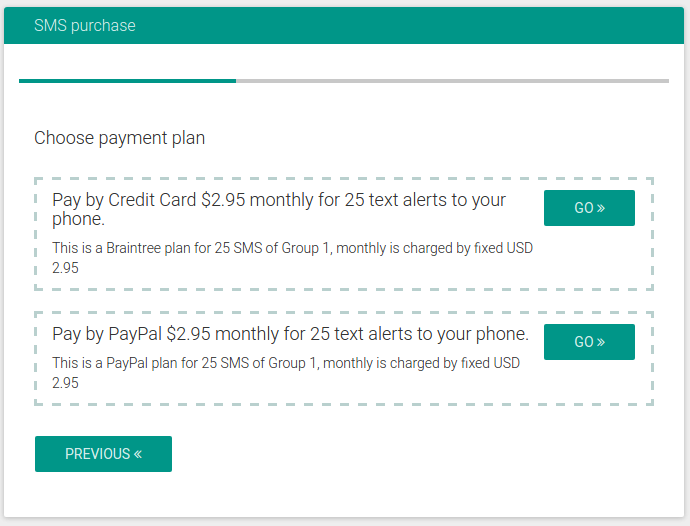 This will allow you to see subscription information and perform actions such as “increase your monthly text alerts limit”. 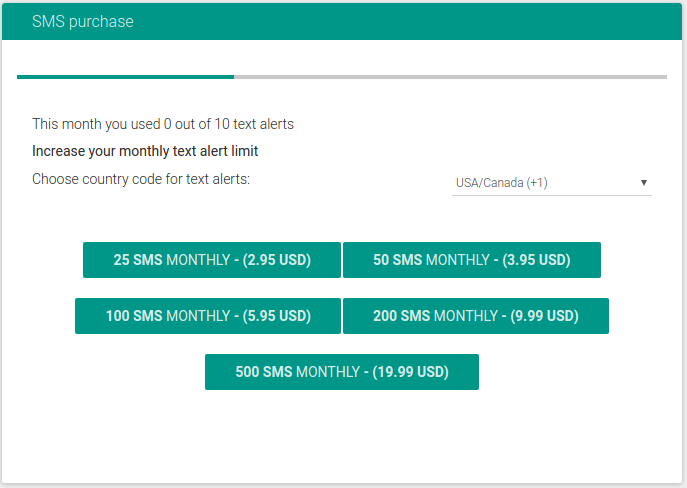 User can choose the country code for text alerts usage and increase monthly limit of text alerts to 25, 50 & 100 alerts per month. This package requires additional monthly subscription according to desired limit. After choosing the monthly limit, user can choose subscription plan and pay by credit card or PayPal.